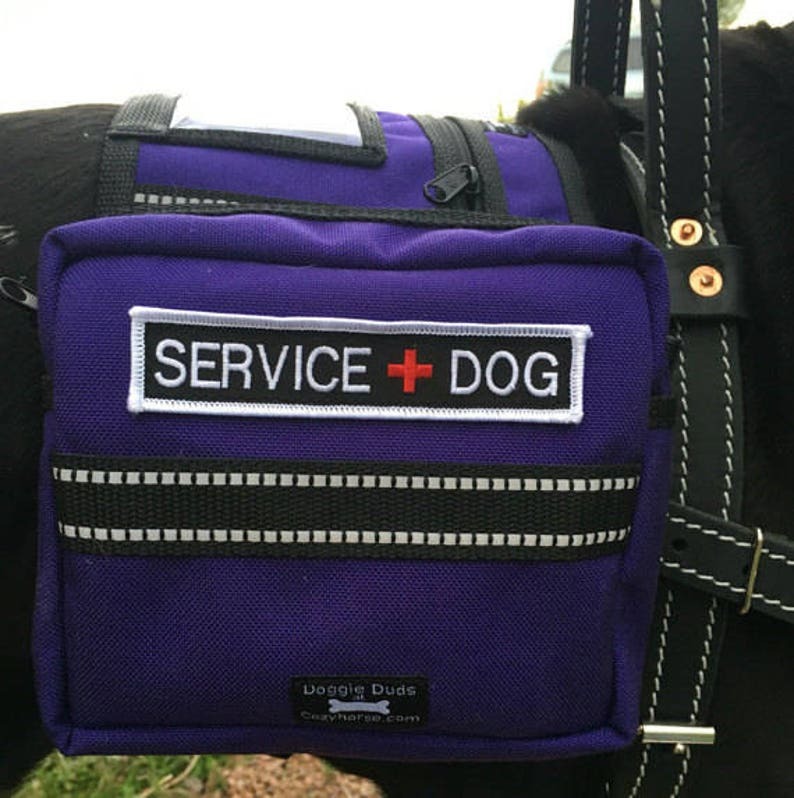 This Service Dog patch is 1" tall by almost 5" wide. Look great on any Service Dog vest! Has easy to read white lettering and white trim and a nice red cross in the center to add a splash of color. Lightweight enough to sew on with a home sewing machine. It fits well on the side or top of a harness!